Is Eco Golf Real Estate the right expat community for you? Eco Golf Real Estate Lots and Home Sites is located in Los Suenos Resort and Marina in Herradura, Costa Rica. Los Suenos Resort is a 1,100 acre resort property that is situated on the Pacific Coast and offers incredible ocean views. Los Suenos Resort is home to many luxury residence communities which consist out of single family homes, lots, condominiums and villas. 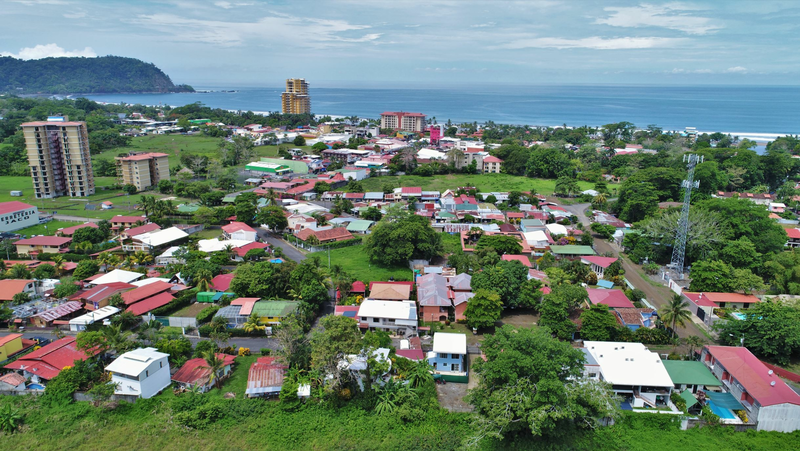 Eco Golf Estates Lots and Home sites is one of the communities in Los Suenos and is the perfect location for homeowners who are looking for the ultimate privacy from their real estate. Eco Golf Estates provides privacy while you are being surrounded by the tropics. Eco Golf Estates is located along the La Iguana golf course and provides phenomenal views of the fairway and rainforest. Make one of the existing villas your home or create your own paradise from scratch at Eco Golf Estates. La Iguana golf course is a championship 18-hole golf course designed by Ted Robinson Jr. and combines incredible scenery with challenging golf. Brilliant colored toucans and scarlet macaws are frequently seen flying over the fairways. The golf course is only one of the great amenities that Los Suenos Resort has to offer. Los Suenos is also home to a world class Marina with easy access to the best sport fishing waters. For sport fishing enthusiast this is the place to be. Next to the marina you find the waterfront marina village commercial area where are several stores, coffee shop, bank, spa and different restaurant for dining options. Los Suenos Resort has a private beach club for its residents and here you find a swimming pool, wet bar and grill. The beach club has also direct access to the beach of Herradura. If you are looking for real estate in Costa Rico or in Los Suenos Resort feel free to contact any of the agents in the REMAX Oceanside office.